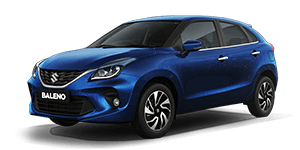 With summer at its full sweltering force and rains just around the corner, have you taken a good, hard look at your car and gotten it ready to face the onslaught of the demanding monsoon conditions? There are numerous car maintenance tips in the rains, available online and at your local service center. Have you made note of them? If not, then you’re setting yourself up for a difficult time, maneuvering potholes, breakdowns and getting stuck in the middle of nowhere! When it comes to cars and monsoon readiness, it’s always better to be safe than sorry. If you’ve not yet done anything to safeguard your ride against the rains, worry not. Tyres in top condition are the single-most important factor that will help you sail through the tough monsoon months. A wet tarmac can spell disaster for your tyres if they are in a worn-out, sorry state. Alternately, tyres in top shape can withstand potholes, bad road conditions, deluged roads etc. and ensure safety for the car passengers. Keeping your tyres in great condition is one of the most important car maintenance tips for the rains. Check the tread of the tyres. It is time to replace your tyres, if it’s worn out or less than 1.6 – 1.8 mm in depth across the central circumference. 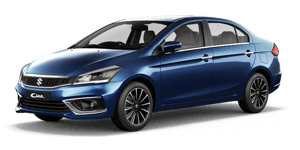 Tyres with adequate depth prevent skidding on roads in wet conditions. Also, ensure that your tyres including the spare one are kept optimally inflated at all times. 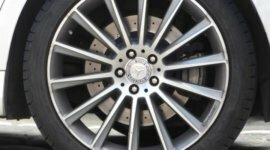 Your car brakes are the next most important factor that play a vital role in safe driving in adverse weather conditions. Driving on potholed roads in the pouring rain means your brakes go through a great deal of abuse. Brake pads suffer major wear and tear due to constant braking in the rains, owing to bad road conditions, slow-crawling traffic and bottlenecks- the bane of Indian roads in the rains. 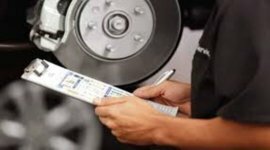 Check and replace the brakes, brake pads, brake linings or brake discs if any issue is found. Also, keep a tab on brake fluid, ensuring that it is filled to optimum levels. This is another one of the most important car maintenance tips for the rains. Any list of car maintenance tips would be incomplete without mention of the lights of your car. Your car lights should be in excellent condition for the dreary monsoon weather. Therefore you should pay due attention to all the important lights like Headlights, tail-lights, brake lights, turn/reverse indicator lights in adverse weather. 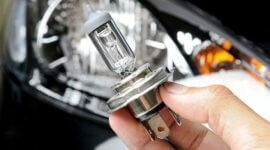 Check and replace any of the lights if they have a faulty fuse. Check the oil level as well as its colour. 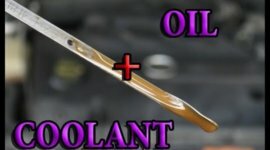 If it’s a nasty black, your oil needs immediate changing. Likewise, ensure that the oil is at an optimum level. Check whether the Coolant and coolant mix are at optimal levels. Change your coolant at least once a year. Also ensure that your radiator is working in top condition. When it comes to important car maintenance tips for the monsoons, wipers deserve a special mention. Wipers are made of rubber. Therefore they are very susceptible to wear and tear owing to the extreme summer heat. If possible, get new ones before the rains unleash their full force. Also, ensure that your wiper fluid is full at all times. It’ll stand you in good stead in the pouring rain of the monsoons. Similarly, get rid of any cracks or scratches on your windshield and replace it, if need be. Keep your car spick and span:Monsoons are also a time of muck and mud on the roads, which sticks to one’s shoes and gets into your car. To keep the interiors of your car looking spick and span even in the rainy season, cover your existing floor mats and carpet with rubber mats or plastic mats. When dirtied, remove and wash these mats for using the next day. These car maintenance tips keep your car interiors looking almost new, even in the squalor of the rains. Prevention from rust:Consider putting an anti-rust chrome cover for your exhaust pipe. This will prevent it from rusting, owing to contact with water. Pouring rain and water can play havoc with the exterior of your car. Ensure you get a Teflon coating done to protect your car’s exterior and also get an anti-rust treatment to avoid rusting and damage from rain water. This is one of the most crucial car maintenance tips you can follow to keep your car looking great, even post monsoons. Check your power windows: When caught in flood waters, and with the water levels rising quickly around you, power windows can get jammed, leading to horrifying life or death situations. That is the reason why this is one of the most vital car maintenance tips for the rains. Please ensure that the power windows of your car are functioning at optimum level. Follow the Traffic laws: While these are just car maintenance tips geared to keep your car in perfect running condition in the monsoons, you should also follow certain rules while driving in the rains. 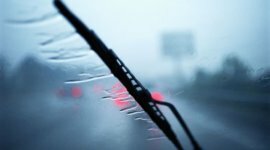 Safety Measures: Pouring rain and water can play havoc with the exterior of your car. Ensure you get a Teflon coating done to protect your car’s exterior and also get an anti-rust treatment to avoid rusting and damage from rain water. This is one of the most crucial car maintenance tips you can follow to keep your car looking great, even post monsoons. Always stay within speed limits in the rains. Mindless speeding can lead to skids, accidents and pile-ups. Keep a safe distance from the car in front of you while driving. Never brake or accelerate suddenly in wet conditions. You stand to lose control of your vehicle if you do. Avoid driving over puddles and potholes. You never know how deep they may be or what lies beneath- a killer manhole or a deep puddle. Make use of your head-lights and tail-lights while driving in foggy conditions.We hope you will make use of our comprehensive list of car maintenance tips for the rains, and enjoy a safe and satisfying driving experience in the dreaded Mumbai Monsoons! Have a look at the video for more info.